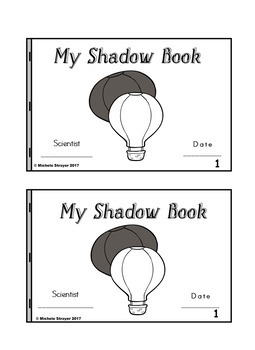 My Shadow Books are great Science Resources for Any Time of the Year. → measure and compare shadows. ♦ Two different booklets for recording data. 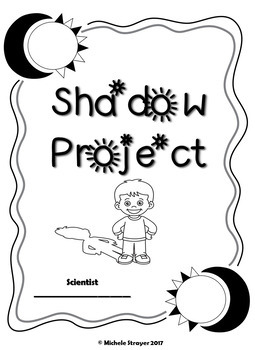 ♦ Picture for students to use to create the shadow. ♦ Booklets are printed in black and white, with two sheets per page to save on ink and paper. ♦ Measuring and graphing directions to display their data. 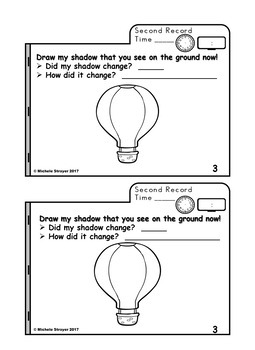 ♦ Extensions for using the skill of time in their activity. ♦ Enrichment using the theme of Shadows in writing and art. A Family Project is included in this bundle.Students will work with their family to complete the activity at home. 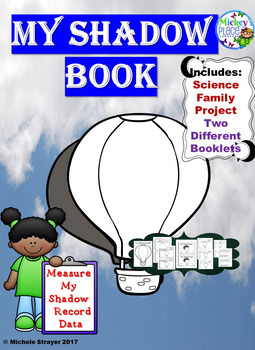 Both students and parents will record data in the My Shadow Book. Then, they will use the data for measuring. After which, they will write about what they have learned about Shadows. My Shadow Book is included in my Mega Shadow Booklet Bundle. This Mega Bundle includes a variety of pictures and booklets to use throughout the year. Young students love shadows. Utilize their enjoyment by extending the study of shadows throughout the school year. Remember to leave feedback to get TpT credit to use for future resources. Follow my store Mickey's Place to be notified of future resources.